Ok. I plied the 3-ply Falklands – this plus the previous skeins gives me a total of just over 300 yards, which is enough to complete the Callicarpa scarf. I have about 34 grams of wool left unspun, so I’ve divided that up and will spin it to make a final skein. Who knows what that will be used for?? 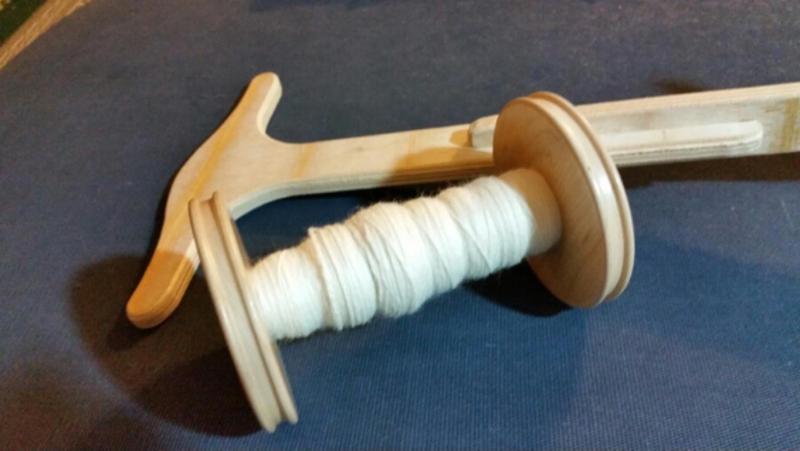 I did start the first bobbin of this last part, so I got some spinning in on top of the plying. I still have to go wind off the new yarn on the niddy noddy and soak it, so until tomorrow.